Air travel is expensive and exhausting. But the next time you're discouraged by your plane idling on the runway for an extra hour, you can at least consider how much worse it could get. You could have ended up on one of these flights. In 2016, a routine flight waited half an hour on the tarmac, but instead of taking off, it ended up returning to the gate, whereupon a 40-year-old man was escorted off the plane. The woman next to him had spotted sus**cious activity and heroically warned a flight attendant of the potential threat. Specifically, the man had been scribbling on a napkin in what appeared to be a foreign language, and he had been curt in answering the wannabe Nancy Drew's questions about himself. Oh, and he had "olive skin and an exotic foreign accent." We're going to posit that maybe that was a factor in what would otherwise be an unremarkable tale of a reserved passenger doing some doodles. The man was interviewed by a security agent, and it was soon determined that he was award-winning Ivy League economist Guido Menzio. And even if you don't have a notable economist trading card collection, a cursory Google search of his name makes it clear that he's not in the business of plane sabotage. The writings that had been mistaken for a secret code or one of them Middle Eastern languages were differential equations Menzio was fine-tuning for a presentation he was scheduled to perform at Queen's University on menu costs and price dispersion. And while that does mean he was armed with the tools to bore his fellow passengers to sleep, there's no law against flying while being both swarthy and good at math, even if you look like a "terrorist" to the sort of person who gets their news from Facebook pages with "Patriot" in the name. Menzio was allowed to re-board, and the flight took off two hours late without his accuser on it. Hey, extra elbow room! Score! University of Pennsylvania"You're lucky I don't calculate how much I could sue you for." Menzio noted that while everyone involved was polite to him, it was a baffling and frustrating experience with an inefficient and biased security system. We're baffled too. While high school calculus mostly taught us that we should abandon our aspirations of building a personal space shuttle, who can't tell math from a written language? If it was a code or calculation to bring the plane down, what kind of terrorist would be committed enough to agree to the mission, but lazy enough to leave all the strategizing until moments before takeoff? And what kind of terror organization would be targeting the crown jewel of potential targets that is the 41-minute hop from Philadelphia to Syracuse? Any plots would be foiled by attendants yelling at the perpetrators to sit back down, because the flight never cruises long enough to turn the seat belt sign off. 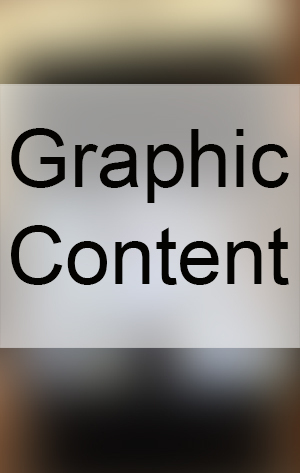 KGO-TV, San FransiscoWhich was graphic enough that we're gonna make you click to see it. An individual would have probably written that off as a mistake, but when 15 passengers simultaneously received the same ominous image, it wasn't hard for them to imagine that they were fated to participate in a midair version of Saw. Flight attendants were alerted, and the plane stopped taxiing and returned to the gate. 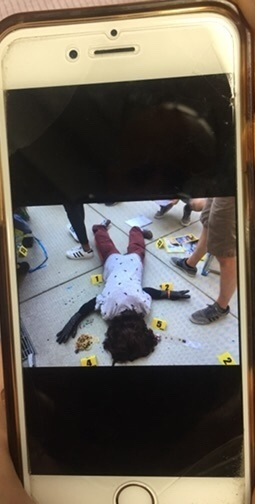 There, over the course of a 90-minute delay, it was determined that the photo was of a mannequin at a mock crime scene, and a teenager had been trying to send it to her mother but had accidentally blasted it to every eligible receiver on the plane. Why mother and daughter were looking at a CSI training course was left infuriatingly unreported, but the embarrassed girl wasn't punished or blamed, and the airline spun the delay as a story of how great they are at calmly responding to alerts. In the end, the only real danger is from the several hack writers who'll crank out screenplays based on "What if this, but serious?!" Airports do their best to keep animals at a safe distance. Birds, for instance, are driven away by making the habitat unattractive, using lasers and trained falcons to disrupt them and employing noise generators that play recorded predator calls, conversations about how dumb, ugly, and undateable the birds are, etc. But there's not much you can do to stop a 450-pound seal from lounging on your runway, because once an animal tops 400 pounds, it can do whatever the f**k it wants. Scott Babc**k/Alaska Dept. of TransportationWhich in this case seems to be "confirming every single stereotype about Alaska." 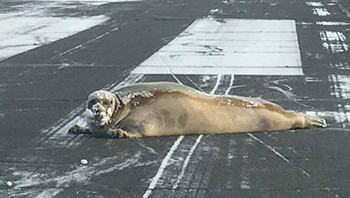 That photo is from Anchorage, and while it's not unusual for polar bears, caribou, and musk ox to block runways there, the seal was a first, and required a special and presumably hilarious-looking intervention from animal control. And at the other extreme from America's climate, Puerto Rico has to deal with iguanas sunning themselves on runways. The island has a problem with invasive iguanas, which are large enough that volunteers are encouraged to shoot (and eat) them by the dozen. Thanks to a lack of predators and endless foliage to consume, there are somewhere between 10 and 14 million of the scaly f**kers, and without extensive control efforts, that population would double every year until the island sank beneath the weight of a Biblical plague. On hot summer afternoons, it's common for runways to be closed so they can be cleaned of the lizards, which can flatten tires or be sucked into engines. That means flights dealing with takeoff and landing delays. It costs $80,000 a year to keep airports iguana-free, although the government tries to offset costs by selling iguana meat, which is a hustle that LaGuardia is probably ripping off for their rats as we speak. Flying with pets is tricky. Animals have to be moved somehow, but air travel is incomprehensible to beasts whose understanding of reality can be annihilated by blankets and screen doors. All you can really do is train them to be comfortable in a carrier for long stretches of time, do your best to keep them relaxed, and absolutely not let them get loose on the airplane. The owner of Ripples the cat did not succeed at that final task. While boarding a 2012 flight from Halifax to Toronto, Ripples somehow got out of his carrier and prompted a hunt that rivaled the intensity of the search for the FBI's Most Wanted. The cabin was searched first, but when Ripples couldn't be found, it became clear that he had made it into the c**kpit (the c**kpit door generally stays open during boarding, because at that point, about the most any potential hijackers could do if they seized it would be to make dramatic flying noises). But Ripples wasn't simply napping in the captain's chair; he had managed to squirm his way inside a panel and down into the wiring. So the passengers were marched off the plane, and maintenance crews came in to disassemble chunks of the c**kpit while also checking to see if Ripples had done any damage. Thankfully he hadn't, and so the adorable riff on Alien took a mere four hours to sort out. The cat was frightened but otherwise fine, and once the c**kpit was reassembled and tested, Ripples was able to fly without further issue. Thankfully the delay began at 5:40 a.m., a time when everyone is famously patient and understanding. Getting crammed into a cramped metal cylinder full of crying babies and armrest wars isn't exactly a treat at the best of times, and it doesn't improve when people have to fulfill basic bodily functions. And if some of those functions seem worse to you when you're up in the air, it's not just your imagination. Giggling scientists have conducted multiple studies on flying's effect on flatulence. Basically, a combination of stress, pressure, and unhealthy airport food can combine, turning you into a Voltron powered entirely by natural gas. That gives us all the appropriate scientific background for this story about a flight being rerouted by excess flatulence, but we are still left with many, many questions. italita/Adobe StockFor instance, why didn't they just drop the oxygen masks? Two passengers on a Transavia flight from Dubai to Amsterdam asked the man sitting next to them to stop passing so much gas. The man refused, either because he was having legitimate gastrointestinal problems or because he identifies as Chaotic Evil. The two men then appealed to flight attendants, and when that failed to resolve the situation to their satisfaction, they became what the pilot dubbed "passengers on the rampage." Yes, a brawl apparently started over this, because humanity is both smart enough to build giant flying machines and dumb enough to get info fart-related fistfights inside of them. After warnings from the pilot to behave themselves, the flight was diverted to Vienna, and the two complainants (along with two women who claimed to be unrelated to the incident, leading to a lawsuit) were thrown off the plane and banned from flying Transavia. 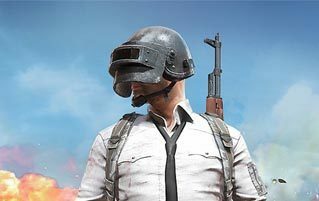 The flatulent man was able to continue the flight, suggesting that either the two men were massively overreacting or the situation was so bad that no one wanted to approach him. Mark is on Twitter and wrote a book that's perfect for flight delays.